UNESCO Almaty, in cooperation with UNESCO Asia-Pacific Regional Office, Ministry of Education and Science of the Republic of Tajikistan and Korea Education & Research Information Service (KERIS), held the Central Asian Symposium on ICT in Education 2018 (CACIE) in Dushanbe on 24-26 October 2018. The theme of the Symposium was “Strengthening Education Management Information Systems (EMIS) to monitor the Sustainable Development Goal 4 (SDG 4)”. Over the recent years, the Central Asian countries showed commendable progress within ICT in Education, Education Management Information System development, and data collection. In this context, CASIE 2018 was organized to support Central Asia in continuously improving its data collection and EMIS. Building on the discussions from the 2017 Asia-Pacific Ministerial Forum on ICT in Education and previous Symposia, CASIE 2018 examined policies, strategies, and initiatives to address the growing need for strengthening EMIS and data collection, organization and analysis of data for monitoring SDG4 indicators. CASIE 2018 called for a collective effort of various stakeholders from policy, statistics, research, ICT in education, and practice fields to reflect on current conditions, and share their perspectives on EMIS status, environment and utilization. Experts from Kazakhstan, Kyrgyzstan, Tajikistan, Uzbekistan, Georgia, Mongolia, South Korea, China, UNESCO, OECD, World Bank, the European Union, and civil society shared their experience. 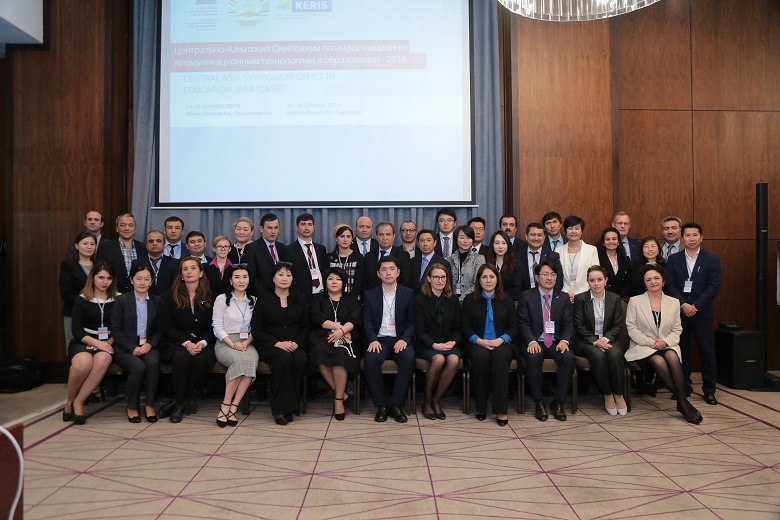 Through various formats, such as plenary and breakout workshop sessions, the Symposium served as an opportunity for the Central Asian countries to share diverse experiences and further explore the issues surrounding support to EMIS and use of ICT for data collection for EMIS. As a result, the symposium identified country priorities for action on strengthening EMIS on systematic monitoring of SDG 4, which will guide the cooperation in Central Asian countries. Presentations and CASIE 2018 materials here.